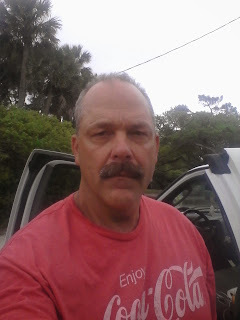 I was married for 35 years a good father good grandfather, I am a hunter, fisherman, farmer, cowboy I have been working as a CDL driver for 20 years. landscaping, construction. I volunteered as a brush fire fighter, I was homeschooled from K to 12th grade went to the University of Guadalajara in Mexico 4 years college I'm a good American love God and country and I care for my fellow Americans I would make a good president, only go 100% by the Constitution, I was trained in Mexico by a green beret from Vietnam the rank of captain and I was a mercenary and I worked as a federal police officer, in Mexico for two years, the rank of Sargent. my name is Joseph Arthur Stetson I am running for President of the united States of America election 2016, I am registered with the federal elections commotions my presidential candidate ID#p60007481 when I am President I will Only run my administration By the constitution and This great country of ours Will and can be fixed in six months or less with the help of the good American citizens of the united States of America we can fix the V.A, immigration, Social Security, Healthcare, and, k to 12, higher education. the government for the people to the people. I was married for 35 years to beautiful women, a good father and grandfather, I am a , gardener, a fisherman hunter and a cowboy, farmer, volunteer as a brush fire fighter, I take care of animals and nature, so please Vote for Joseph Arthur Stetson put a cowboy in the White House so I can do good for the country and not another crooked politicians thank you sincerely from Mr. Stetson may God bless America only I need us army of peace so we con protest to the federal government to run the USA by the constitution so corporate America can no longer run the government for the people to the people.so please help me Americans so you and your children and grandchildren can have a future, god are creator father of Jesus Christ are savior bless you and keep you and your family's safe and sound.